The ISU team from the Mary Greeley Medical Center was selected to go to the United State Military Academy to compete in a capstone conference competition. Industrial Engineering 441, a one-semester Capstone Design course, gives students the opportunity to engage in industry projects and practice industrial engineering under the guidance of an experienced registered professional engineer. The goal of the projects are to provide economic value to a company. In its first semester, 15 groups worked on projects at 15 companies. These projects included topics like workplace design, time estimation and process engineering, factory layout, scheduling, and inventory analysis, to name a few. The value of the projects ranged from $25,000 to over $2 million. 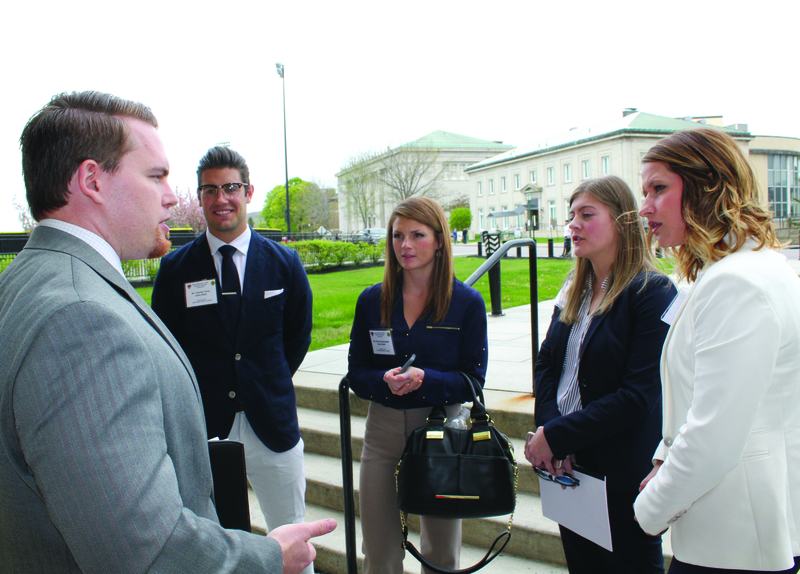 In the Spring of 2016, students worked at companies such as John Deere, Vermeer, Danfoss, and Mary Greeley Medical Center, with companies agreeing to implement between 70% and 100% of the student recommendations. During the semester, students perform in-depth quantitative analysis and design. This includes extensive communication and site visits throughout the project. As a group, students devote 60 hours per week for the duration of the 14 week projects. Visit the Capstone Design webpage to learn more about this unique project.